Bankruptcy is a set of laws which provides for a possibility to get debt relief. This is an option you should consider if you find yourself unable to pay your debts. Filing for Bankruptcy may liberate you from most of your debts and collection activity. The goal of bankruptcy is to receive a Discharge. Once a court issues a Discharge you are no longer liable for the debt. Get a fresh start! In Bankruptcy you may keep your car, home and personal property, all while receiving a Discharge for unsecured debts. Unsecured debts include credit cards, medical bills, utility bills and any other type of loans or credit that was extended without a collateral requirement. In many instances you may elect to surrender a car or home which is upside down and under-secured (meaning you owe more than what it is worth). This can help you manage your budget and improve cash flow. If you have collection accounts, missed/late payments, charge-offs, repossessions or judgments it is very likely that filing for Bankruptcy may be the quickest way to improve your credit. This is due to the fact that obtaining a discharge may lead to an improvement in your credit score. This will all depend upon what your credit score was before you filed bankruptcy. Imagine a fresh start! Contact me so that I can discuss your options with you today! Get a Fresh start! Law office of Jonathan Tolentino, P.A. We are a law firm based out of Naples, Florida with a primary focus in Bankruptcy (Chapters 7 & 13), Real Estate and Personal Injury Law. If you need effective representation, no one will work harder for you. We are experienced and come up with practical solutions just to meet your specific needs. Our team consists of the best service oriented professionals and we have developed a level of expertise that other practices may not offer. We are a law firm based out of Naples, Florida specializing in real estate, bankruptcy and personal injury law. Our team consists of the best service oriented professionals in the Naples, Florida area. 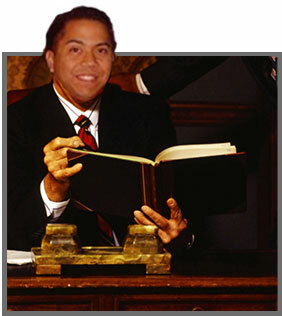 Jonathan Tolentino, PA is debt relief agency. We help people file for bankruptcy under the Bankruptcy Code.